Is your toilet seat always up and people around (men!) forget to put it down? 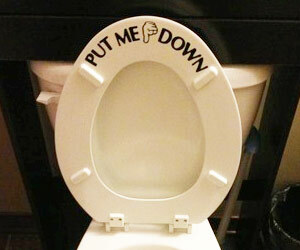 Here is funny yet effective way to remind folks about toilet seat manners with “Put Me Down” decal sticker.